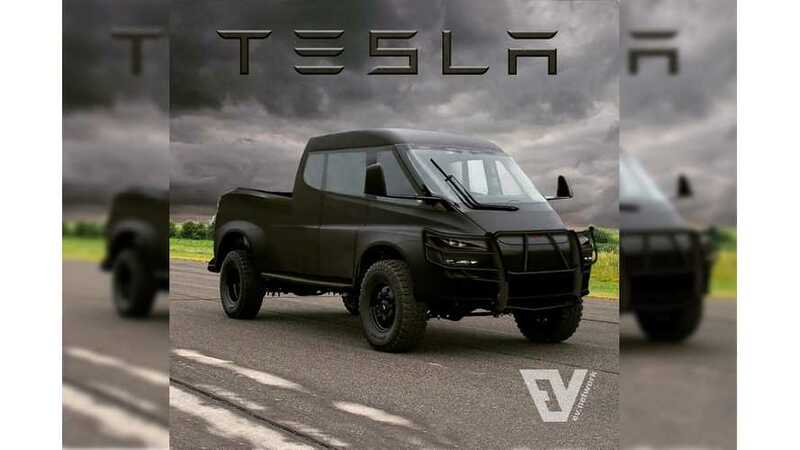 Regarding the look, there have been any number of renders of a possible Tesla Truck produced over the past couple of years. For one example, see the image at the top of this post. When the Semi was unveiled, there was even a speculative render shown that appeared to tease it would share some of that vehicles styling. We think this is unlikely to be the case. Musk has said the design could be so out there that it may not find a lot of buyers, and so they may make a second, more accessible version. While it's hard to know how serious he may have been about that -- it sounds like an expensive proposition -- it does make us more anxious to see what is unveiled.